A-HOTEL.com - Luxury and cheap accommodation in Bayunovo-Klyuchi, Russia. Prices and hotel, apartment booking in Bayunovo-Klyuchi and surrounding. 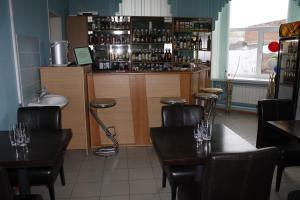 Featuring a restaurant, a spa centre and a 24-hour reception, this ApartHotel is located 4 km from Barnaul city centre. Guests are offered accommodation with a flat-screen TV.